These are a couple of pictures of Axel. He is dressed-up as one of the Living Dead AND he is a GREAT COPY of a Living Dead Doll. The last 2 entries were sent in by the boys Mom, Gore. 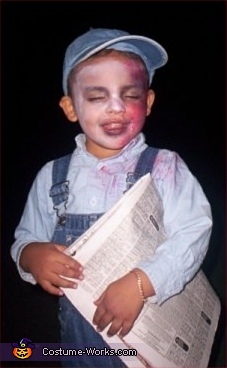 This homemade costume for boys entered our 2007 Halloween Costume Contest.